The phrase “Catch-22” refers to a type of unsolvable logic puzzle. If one lacks work experience, one cannot get a job to gain experience. If one doesn’t have money, one can’t invest to make money. The term “Catch-22” is also used more broadly to mean a tricky problem or a no-win or absurd situation. In the book by the same name, Catch-22 is a military rule typifying bureaucratic operation and reasoning. The rule is never explicitly stated, but the principal example in the book fits the definition above: If an air force pilot is crazy, they can be discharged from service, they only have to apply for the discharge. However applying for discharge demonstrates that they are not crazy because only the sane would claim to be crazy, the actual crazy are not aware of their own state. As a result, no one will be discharged. 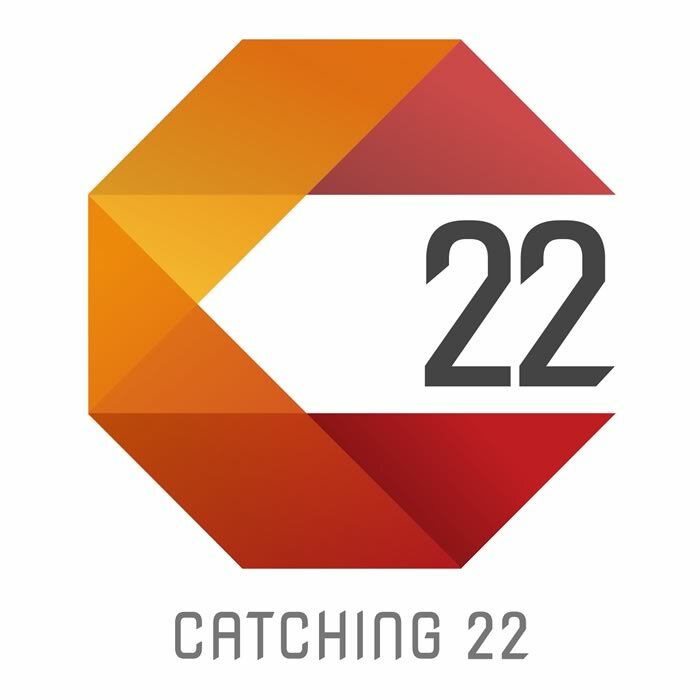 Catching 22 is wordplay on the phrase Catch 22. Although in the phrase the word “Catch” is negative, inferring it is something to become caught on, an “impasse” or “stalemate” which you cannot get around, the use of “Catching” is a positive action word, it imparts motion and implies an aim to catch or capture the 22, that once it is caught we can overcome the blockage caused by the Catch 22.
exploration of concepts surrounding business models and issues faced within the technology and digital space (hardware, software, film, video, games). Not to be the experts but to ask questions and challenge assumptions and to break down myths. To learn from people that are actually doing it, and doing it in a way that is unusual but effective.